Basically, if you're going to fire a gun in act three, you show the gun in act one. Conversely, if you show the gun in act one, you better follow up on it in act three. It's a basic plot point, and basic setting up said point. You take an item you show early on, and you whip it out as a plot point in the last round. Agatha Christie did it a lot -- showing you something constantly, and revealing that it's of dire importance to the solution of the mystery. In the case of Die Hard, small, little things impact the plot all over the place. Everything from the cocaine problems of Gary Ellis to a simple stupid Rolex watch. Don't believe me? Let's review a few things. If you remember the story, NYPD officer John McClane heads over to LA to visit his separated wife Holly for Christmas at her place of business. Using the computer that runs the building, he has discovered that his wife is going by her maiden name. He also finds that she has a sleezy suitor, Gary Ellis -- Ellis has a bit of a drug problem, and is lusting after Holly. Then terrorists take over the building. And every single sentence of that paragraph is integral to the plot. 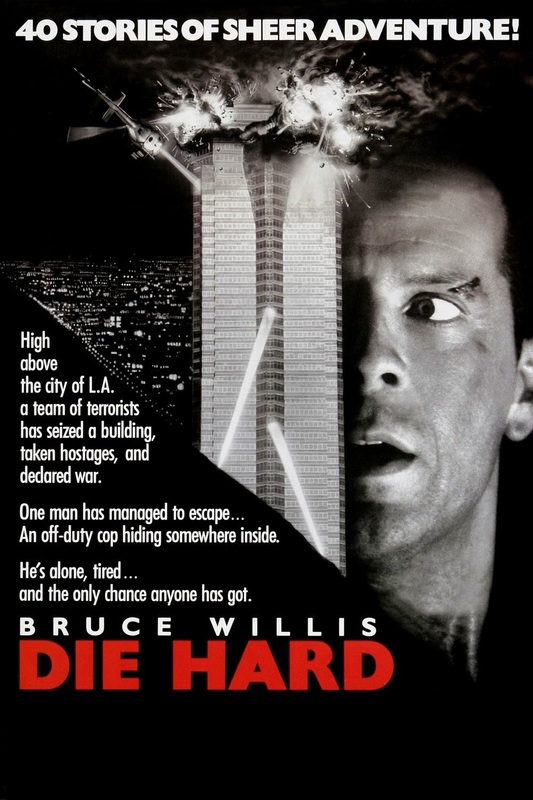 Obviously, the terrorists and McClane heading over to LA are the plot, but everything else feeds into it. Holly using her maiden name seems like a petty relationship problem, but using her maiden name keeps her alive, even after the terrorists find out who McClane is. In a fit of frustration, early in the film, Holly slams down her family photo ... which is a good thing, because the leader Hans takes over her office, and doesn't realize who she is until the last act. The fact that the computer runs the building is the only way that the terrorists can take total control over an entire skyscraper. Ellis' drug problem escalates as the movie goes on, making him take a risky chance with Hans that will cost him his life ... but at the same time, his desire for Holly keeps him from turning her over, and Ellis even makes it a point to stress that he didn't give Holly up. Before the terrorist takeover, Ellis shows off that he gave Holly a Rolex ... which became the second-to-last "gun" fired in the entire movie. If you remember the film, you might remember that Ellis' watch kills Hans, and saves the day. If you don't remember how the watch saves the day, that's one thing I'm NOT going to spoil.